Every year, we remember what Christ has done for us during the Holy Week. This is especially so during Good Friday and Easter. We know that the significance of this act is eternal. However, it is also important that we reflect on our attitudes. And we ought to do so not just during this weekend but consistently. Pastor Chew Weng Chee sharing on 29th March. Last Sunday, on the 29th of March 2015, Pastor Chew Weng Chee shared a message, ‘Were You There When They Crucified Jesus?’. His message centered on three persons that were there physically during the crucifixion, each of them symbolizing an aspect of the human heart. Pastor Chew counseled that we receive this message not with our physical ears or eyes but through our spiritual hearts and minds. The first person that was studied was Pontius Pilate. Pilate represents the weak man, the type that has no moral courage. He gave in to peer pressure and pandered to the gallery. He confessed that he found no sin in Jesus, and even his wife cautioned him to treat Jesus with care. Though Pilate may not have understood it, he probably knew that there was something special about Jesus. Yet, in his character struggle, Pilate gave in and it resulted in him condemning an innocent man to death. Because of this, he is remembered today as the man responsible for Jesus’ crucifixion. No matter how much he tried to wash his hands off the matter, this fact remains. While many of the events in the Gospels were not recorded in all four of them, this incident was one of the few that were found in each one. Pastor Chew cautioned that God wants us to remember Pilate as an example, and that He views this very seriously. There are many times when Christians will be put to the test. Will we bow to pressure and compromise our faith and identity as Christians? Will we start to put our faith in something else; our good works and popularity in life? Are we interested in making Jesus known through our lives or are we hungry for personal fame and glory? What happens when real persecution comes? Will we be able to face it? These are the questions that are raised for Christians through the example of Pilate. 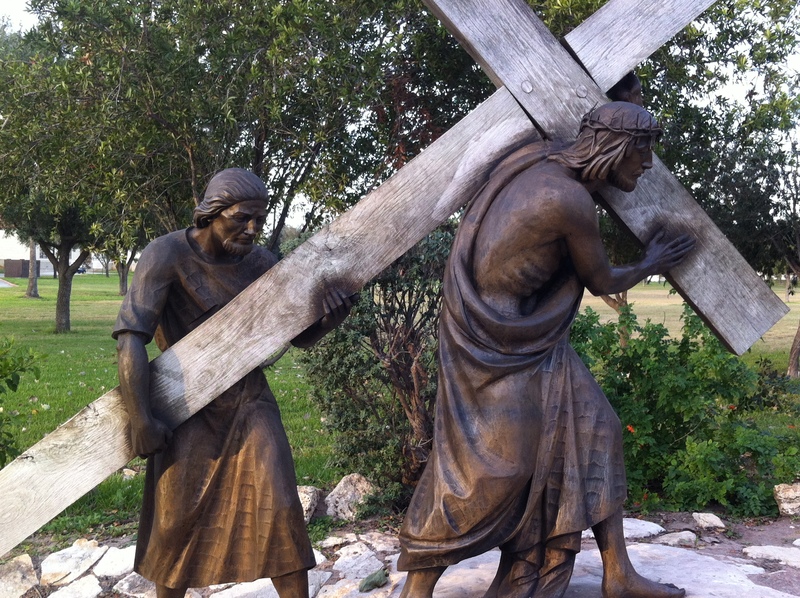 The second person studied was Simon of Cyrene. While some new Christians may not know specifically who this person was, he is remembered by all as the man who helped Jesus carry the cross on the Via Dolorosa. This was a divine appointment for Simon, and it changed his life. Because of this encounter, his son Rufus became a missionary for the Lord, and his wife later became a mother to Paul when the apostle needed it (Romans 16:13). Simon and his family became disciples for the Lord. From a curious on-looker, he became a cross-bearer, and further to a commitment to Christ. This is the call for every Christian. Are we willing to carry the cross? Jesus said in Luke 14:27 that if we are not willing to carry the cross for His sake, we cannot become his disciple. This means that forever we will just be a believer, always standing at the periphery, never knowing a full life with Christ. Pastor Chew conveyed that this will be such a pity. It is time that we stop standing only in the periphery any more. Simon’s transformation was not merely in name or a physical one, and it is not merely about going to church or how active we are there. This transformation speaks about the life. It speaks about our willingness to submit to Christ so that He can work the inner and spiritual transformation in us. Another person who was there on that day was one of the dying thieves. Specifically, the one who repented and recognized Jesus for who He was. Pastor Chew communicated that this person represented another aspect of the Christian life. The dying thief was convicted of his sin, written for public display above his head. But the thing for us to learn today is that while this was true, he was also convicted through the righteousness of Christ. He heard Jesus ask the Father to forgive the people of their sins, even up to their condemnation of Jesus to the cross. He came to an epiphany of his sinful nature and it resulted in genuine repentance. 3 remarkable things stood out about this thief. He recognized what was going on right next to him and the fear of the Lord came upon him (v 40). He recognized that Jesus was pure and sinless (v 41). Most remarkable of all, especially from a dying man to whom seemed like another dying man, he asked Jesus to remember him in Paradise (v42). The thief was looking forward to the dying man to return as a King! Pastor Chew shared that this thief had true strength of conviction. He understood what Good Friday and Easter is all about. ‘I believe that the thief was promised a first seat in Paradise. Even the 12 disciples had fled but this thief recognized Christ as the Messiah,’ Pastor Chew said. Do we have understanding of what Good Friday and Easter is all about? Do we have such strength of conviction? Pastor Chew said that the fact is every single one of us was there on that day. It may not have been physical, but in reality, we were there in spirit. There were so many others who made a stand for Jesus such as Joseph of Arimathea who risked himself to get Jesus a tomb. Which of the three persons above are we? Hopefully, we are of the latter two and not of the first. Christians are called to make a stand and point for Christ, whether it is at work, school, and so on. Whatever we do, we need to do it with an eternal perspective. 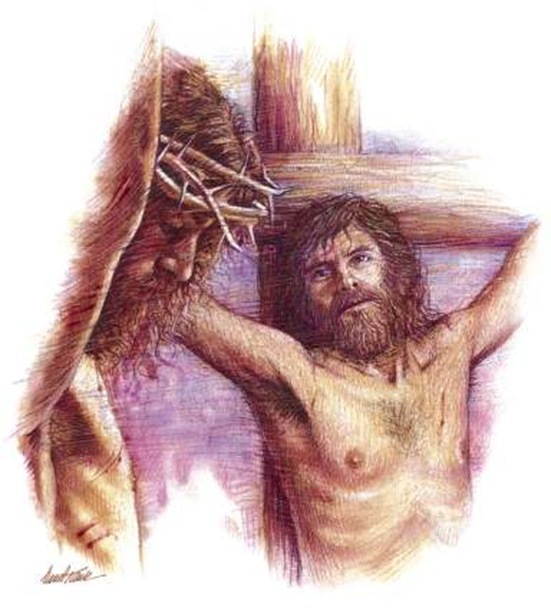 Were You There When They Crucified Jesus? Christian Understanding of Sacrifice: Rituals or Relationship? I cried as I jotted down the imagery account of my presence when they crucified my Lord for my own spirit has not failed to testify what happened on that day, nearly 2,000 years ago.